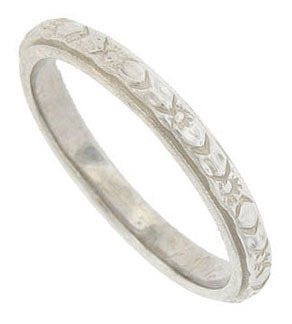 This antique style wedding band is fashioned from the original antique ring. The elegant floral inspired wedding ring is crafted of 18K white gold and measures 2.43 mm in width. Size 5 1/4. We can re-size slightly. We are currently stocking this ring in 14K white gold as well.